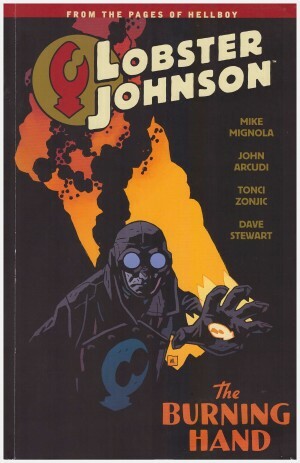 Lobster Johnson graphic novels may have a relatively slow release schedule, but they’re always worth waiting for, and this presents a pair of three chapter stories of the two-fisted pulp brutality we’ve come to love from Mike Mignola, John Arcudi and Tonči Zonjić. Their presentation reverses the title billing, with the metal monsters appearing first. 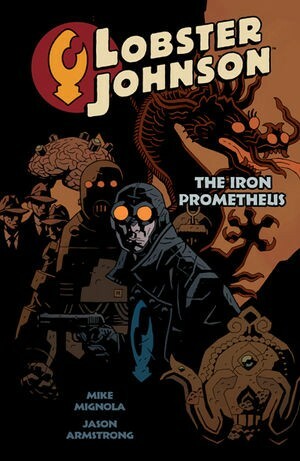 Because he operates in the 1930s it’s sometimes easy to forget that Lobster’s world is connected with that of Hellboy and the B.P.R.D., and he also deals with matters beyond mortal knowledge. This time it’s a trio of robots and a genuine ghostly pirate. A joy of the period setting is the ability to present what we’re familiar with as viewed by those seeing it for the first time. The trick is to have it novel enough that it also impresses present day readers. The concept of robots would be unknown to most people living in the 1930s, but take a look at Zonjić’s fantastically primitive designs. It’s not the only superb piece of technology on his part. 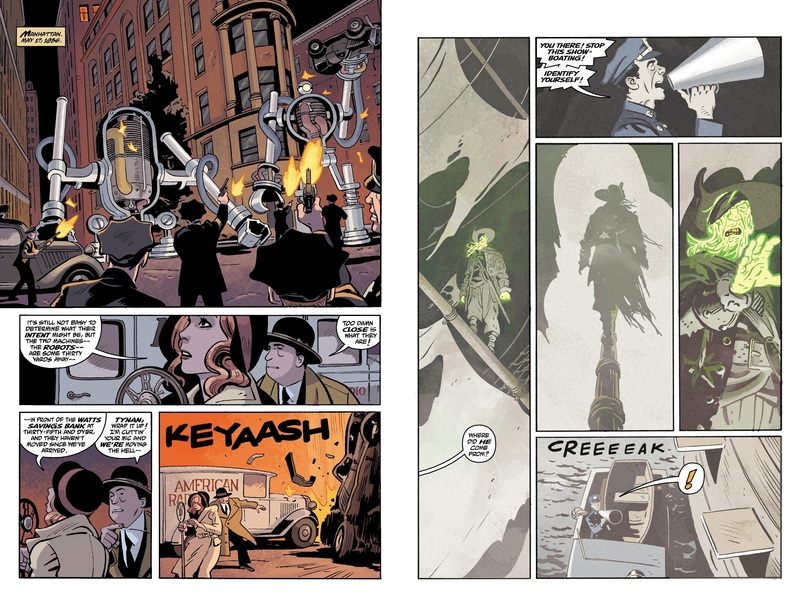 More than any other Lobster Johnson story ‘The Metal Monsters’ features the vehicles of the era, fire engines, police cars, and ordinary passenger vehicles, all of which are rendered in great detail. 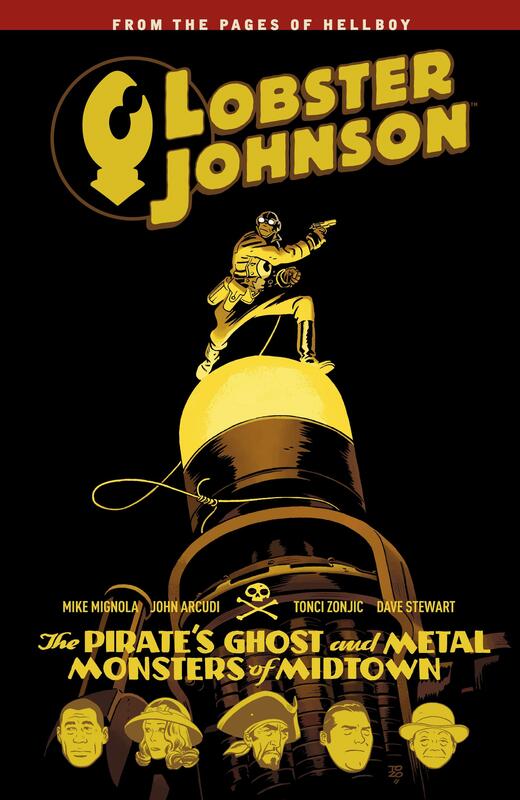 That’s among the visually impressive storytelling for both tales, where Zonjić consistently comes up with a viewpoint that makes even mundane scenes look interesting. When he really opens up, the results are amazing. There’s a scene in the pirate story where Lobster confronts someone, and the opening page is stunning work. As they were in the previous book, gangster Wald and his associate Isog are a background presence in the first story, but move into the foreground in the second. 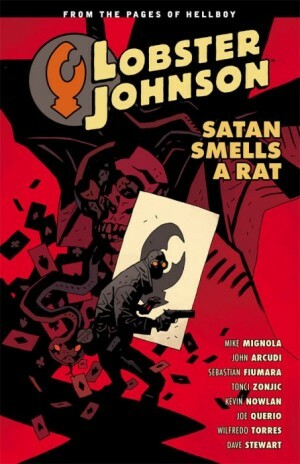 While maintaining him as a dangerous presence, Mignola and Arcudi have characterised Wald as an idiot to some degree, but he’s different here, literally haunted, but not by his objectionable past. 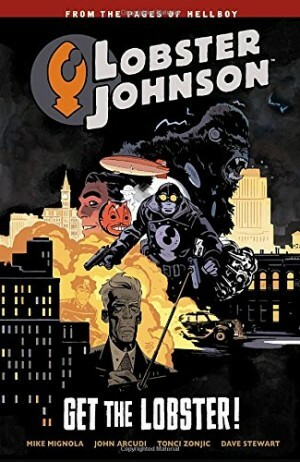 There’s a fantastic ending (“Justice”), but it’s also the case that, while true to a form of realism, readers might have expected a more substantial conclusion to the story of characters whose presence has been maintained over three books. Their fate was always inevitable, but they’re rather discarded. It is among some evocative writing, and there are plenty of memorable moments. Early in the first story there’s a great scene of Lobster and crew standing over one hell of a bomb. “Look at that! Two hundred pounds of T.N.T. !”, says Bob admiringly, and although very much contrived in story terms, the pirate stuff makes for some great visuals. While Lobster himself is one note and unchanging, exactly as we need him, the writers are progressing the lives of his crew and acquaintances. Reporter Cindy Tynan has an increasing role, as she and Harry provide the non-action drama, Lester proves to be the helper most called on, and Bob the most versatile. This is followed by A Chain Forged in Life, another of those collections where other creators get to indulge themselves in Lobster’s world.